The Open Society Foundations / University of Durham scholarships aim to provide opportunities for independent postgraduate study in the United Kingdom for students who have demonstrated both academic excellence and the potential to become leaders, decision-makers and opinion formers in their own country. Upon completion of their studies in the UK, scholars are expected to return to their home country to resume their studies or work there. Subject to satisfactory progress, the scholarships lead to the award of a master’s degree. 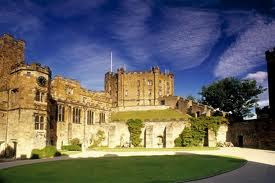 Each scholarship provides tuition fees at Durham University, a stipend to cover living costs (for one person only), and return air travel from the scholar’s home country. The scholarships are open to applicants from Afghanistan, Indonesia, Nepal, and Palestine (Palestinian Arab citizens of Israel are also eligible to apply). Please note that if you have applied, or are applying, for other grants, fellowships or scholarships with the Open Society Foundations you should alert us to this in your application. While you may apply for more than one programme simultaneously, you can be awarded only one Open Society Foundations scholarship or grant for a given period. Employees, employees’ relatives (or former employees who have left employment less than two years before) of the Educational Advising Centers or local Open Society Foundations representations directly involved in the Open Society Scholarship Programmes administration in the region and the participating universities will not be eligible to apply for these awards. The University’s application form can be downloaded below or obtained from your local scholarship coordinator or the University of Durham website. Complete Application Forms and Self Assessment Forms received by the local scholarship coordinator offices by the deadline will be forwarded to the University of Durham. All applications will be considered by an internal university selection panel including the Executive Director of the Institute of Hazard, Risk and Resilience, The Dean of the Graduate School and Internationalization, The Postgraduate Admissions Tutor for the Institute of Hazard, Risk and Resilience and the International Partnerships Manager. Short-listed applicants will be invited for an interview in their home country in April/May 2012. You must be available for interview during this period. Those who successfully pass the interview stage will be invited to take an English language test in their home country where/if necessary. You will be informed by your local scholarship coordinators in March 2012 whether you have been shortlisted or not. Interviews will be carried out by representatives of Open Society Foundations and the Durham University where possible. The final awards will be decided jointly by the University and OSF. Candidates will be informed by early June. Please note that all successful applicants will be expected to attend a one-month preparatory academic writing summer school in August 2012. The Open Society Scholarship Programmes Pre-Academic Summer Programme is designed to prepare Open Society Scholarship Programmes grantees for a successful academic experience in the UK. Successful applicants will be provided with the opportunity to refine their research and writing skills through intensive courses in academic writing and social sciences. The exact date and location of the summer school will be available at a later stage in the selection process. Please make use of all of the written documentation available to you including these guidance notes and the information available on the university web pages. Please note that you do not need to apply directly to the University for admission in addition to this scholarship. Your scholarship application will also act as your academic programme application. Please keep a copy of your completed application form for your reference. Applicants are required to submit 2 copies of the application package to their local scholarship coordinator office. Please do not send original documents at this stage. Incomplete or late applications will not be considered.